Have you ever rooted for a bank? After the 2008 financial crisis, which started in the US and sent shockwaves all over the world, the federal government pressed criminal charges for mortgage fraud against only one bank, Abacus Financial Savings. The documentary tells the story of the bank and its (judicial) struggle against the government. 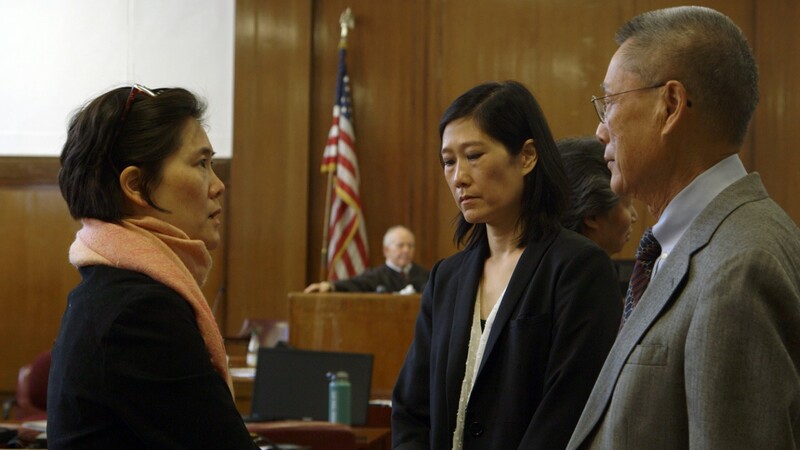 "Abacus: Small Enough to Jail" is screening at the 7th Annual Asian Film Festival Spring Showcase, running April 20-27. Abacus is a family business based in New York's Chinatown. It was founded in 1984 by Thomas Sung, a man who left a successful practice as a lawyer in order to create an institution designed to cater to the specific needs of its constituents – in this case immigrants with little banking experience and unique cultural and communal ways of doing business. Currently at his 80's, Thomas still plays a significant role in the running of the bank, along with his three daughters. In 2010, the managers at Abacus alerted the authorities of an employee of theirs, Ken Yu, who was taking bribes and falsely inflating customer income claims in order for the bank to confirm their loan applications. The bank fired Ken Yu, but the Manhattan District Attorney office, which, according to the film's perspective, was looking for a scapegoat for the banking scandal, indicted the bank and 19 of its employees in 2012, with an accusation, among others, of criminal conspiracy. Thomas, his three daughters that work in the bank and a fourth one, who resigned her position as an assistant to the DA, were plunged into a legal struggle that lasted for 5 years, cost $10 million, and threatened the existence of the bank. Steve James does not shy away at all from portraying the appeal the family and their struggle had on him, as he presents it as a fight of David vs Goliath, gaining, in that fashion, sympathy from the audience, from the beginning of the film. The depiction of the arrest of the 19 accused, which was conducted in an unprecedented and utterly humiliating fashion, with all of them chained together and brought to the police station, the fact that the key witness of the state was Ken Yu, the focus on the family's extremely strong bonds and Sung's significant role in the Chinese community all move towards this path. Steve James direction is outstanding, presenting a film that functions as a family drama, highlighting the toll the case had on the family, both financially and psychologically, and occasionally as an agonizing thriller, particularly during the sequence of the bank run and the one with the jury's decision. Steve James and Tom Bergmann, the cinematographer followed the family very closely in order to gain a thorough view of their situation, and along with a number of interviews that include members of the Manhattan District Attorney office, jurors from the trial and members of the Chinese community, manages to present spherical perspective of the subject. Additionally, Bergman managed to shoot some very beautiful images of the protagonists in their working environment, which, along with a number of drawings from the trial, provide a great "relief" from the dramatic and tense atmosphere the documentary emits. John Farbrother and David E. Simpson's extraordinary editing connects all of the above in impressive fashion, as it maintains a rather fast and very entertaining pace. 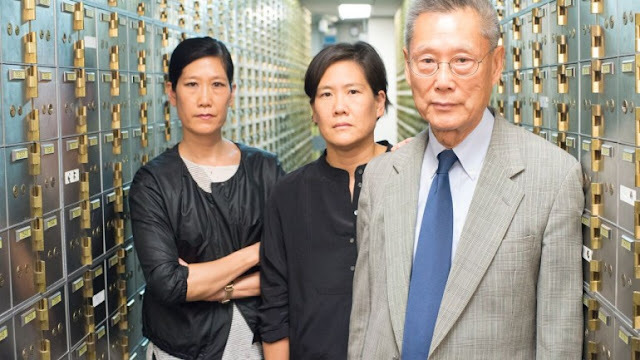 "Abacus: Small Enough to Jail" is a great documentary about a very appealing story, that highlights the strength of family bonds and immigrant communities. On a personal note, the film left me with a question: Is the US a country where democracy thrives, since documentaries like this, that paint official institutions with the darkest colors, are allowed to be shot and screened, or a cruelly capitalistic one, where the big fish is always eager to eat the small one?